LED Flicker & Scanners: Can You Turn Your Brightness Up? Find out the reason why airline attendants will ask you to turn up the brightness on your phone when you're scanning your virtual ticket. The answer is surprising! If you are retrofitting a fixture from fluorescent to LED lamps, you will have to remove the ballast in most cases. We will show you how to direct-wire a fixture for single-ended LED lamps! If you are looking for a cost-effective way to retrofit your fluorescent fixtures, the Energy Focus DEBB tube is the perfect solution. 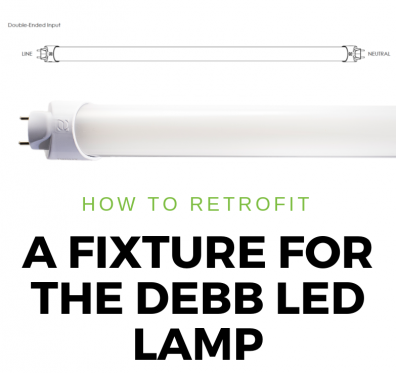 We will show you how to retrofit a fixture for the DEBB LED lamp! Does Your VA Hospital Have Healthy Lighting? Does your VA Hospital have healthy lighting? Installing flicker-free lighting is another way VA hospitals can keep our veteran's healthy while recovering. Color temperature is one of the many choices available to customize your lighting options. Find out what color is appropriate for your space! Which LEDs Should I Choose For Office Lighting? Choosing the right LED office lighting can be time-consuming if you don't know what you're looking for. Let Energy Focus help you in deciding on what's right for your office space! What is the Difference Between a Single-Ended and Double-Ended LED Tube? What is the difference between a single-ended and a double-ended LED tube? The answer is actually pretty simple! Read the blog post to get all the details! LED lighting has come a long way in a short amount of time, but the technology has not stopped there! See what the future of LED lighting is headed! 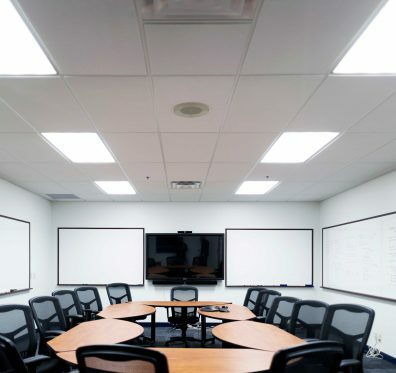 Is your office lighting still running off of fluorescent tubes? Making the switch to LED lighting has benefits that you might not have known existed!